W.Gabus expands the present collection with the «Transmatic» line in three different executions.The new models are available with «Big Date», «Power-Reserve» or «Regulator». 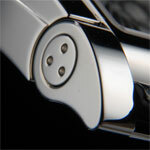 Mobile bracelet attachments and the descending profile of the watch-case distinguish this timepiece from classical watch designs. 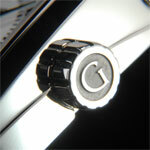 One of the bracelet attachments can be upturned, an option which transforms the aspect of the model. Movement: Self winding mechanical movement, Dubois Dépraz 14'000 (two directional automatic winding system) based on caliber ETA 2892A2. Thickness of the movement: 5.20 mm. Autonomy of the movement, fully wound: more than 40 hours. Functions: Hour and minute indication at centre. Power reserve indication at 6 o’clock. Big date display at 12 o’clock. 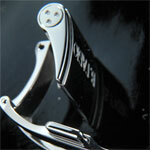 Case: Superior quality stainless steel or gold of 18 carat. Domed sapphire crystal, hardness 9 Mohs. Water resistant to 5 ATM (50 meters). Mobile bracelet attachments, reversible at 12 o’clock. 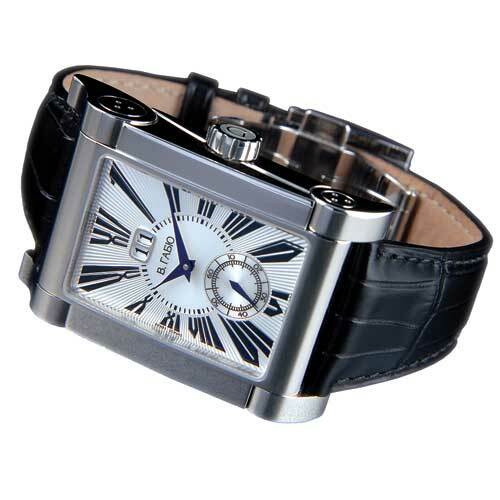 The dial is silver, black or dark blue with Roman and Arabic embossed numerals, engraved. Strap: Genuine alligator strap 25 x 18 mm.